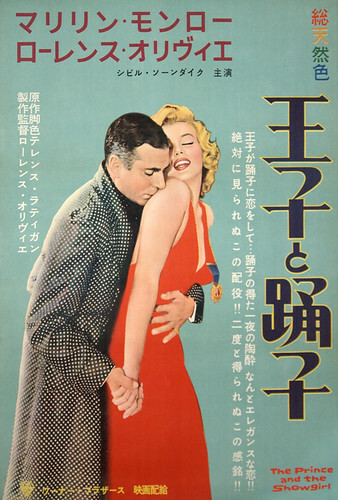 Original Japanese B2 size movie poster for Prince and the Showgirl! I picked this one up a couple months ago but I’m just now taking pictures and getting it posted onto www.posterdemic.com. This one is quite rare. I’ve either only seen it twice, or perhaps this is the same copy I saw a few years ago. Who can be sure? Regardless, it is a beautiful poster and this one was in fantastic condition even before it was mounted on linen with only a few minor 1/4″ tears at a couple edges.